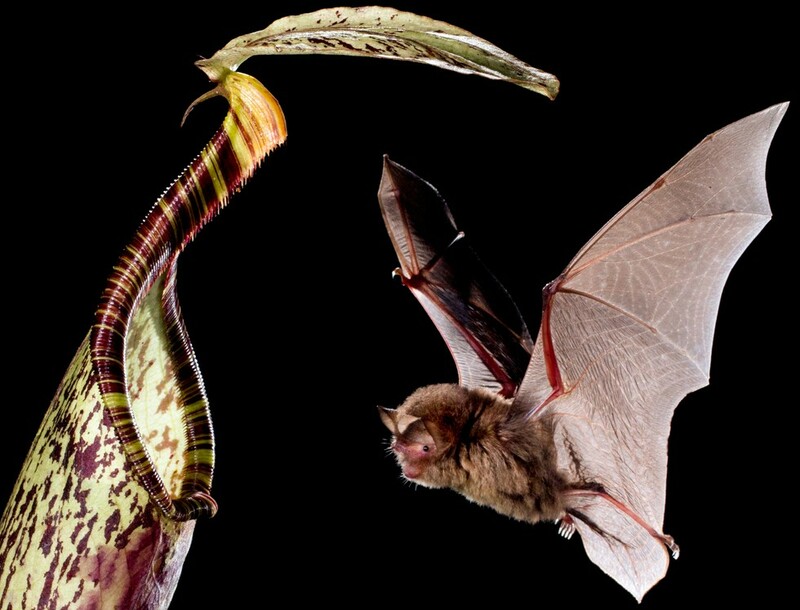 In Borneo, some insectivorous bats have developed a rather intriguing relationship with carnivorous pitcher plants. The plants offer the bats a relatively cool place to roost, free of parasites and competition from other bats. In return, the bats keep the plants well fertilized with their droppings. Now, researchers reporting online in an open-access article in the Cell Press journal Current Biology on July 9, 2015 show that the plants rely on special structures to reflect the bats' ultrasonic calls back to them. That adaptation of the plants makes it easier for bats to find their plant partners in the cluttered forest. "With these structures, the plants are able to acoustically stand out from their environments so that bats can easily find them," says Dr. Michael Schöner of Ernst-Moritz-Arndt-University of Greifswald in Germany. "Moreover, the bats are clearly able to distinguish their plant partner from other plants that are similar in shape, but lack the conspicuous reflector." The Current Biology article is titled “Bats Are Acoustically Attracted to Mutualistic Carnivorous Plants." It all started when study author Dr. Ulmar Grafe of the University Brunei Darussalam discovered bats roosting inside pitcher plants. He, along with Michael and Caroline Schöner and Gerald Kerth, senior author of the new study, first explored what the plants and their bat partners were each getting out of the deal. Their findings--that the plants offer bats a place to roost in return for nitrogen--helped to explain something that had vexed pitcher plant researchers: those plants, Nepenthes hemsleyana, are rather bad at attracting insects, compared to their carnivorous relatives. In the new study, the researchers wondered how N. hemsleyana and the bats, Kerivoula hardwickii, find each other. After all, both species are relatively rare, and they live in a rather crowded place. A study by a multidisciplinary research team, co-directed by Worcester Polytechnic Institute (WPI), offers new insights into how virulent fungi adapt through genetic modifications to fight back against the effects of medication designed to block their spread, and how that battle leaves them temporarily weakened. These insights may provide clues to new ways to treat notoriously difficult-to-cure fungal infections like thrush and vaginitis. The team studied patients infected with the fungus Candida albicans (C. albicans), which causes common yeast infections and more serious bloodstream infections, who were being treated with fluconazole, one of the primary anti-fungal drugs now in use. 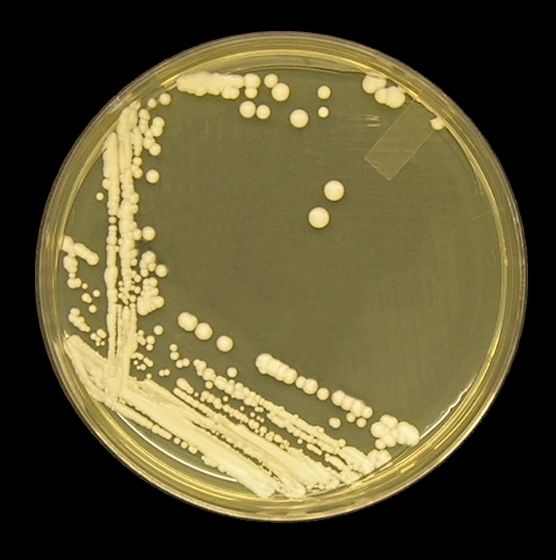 They found that the fungus undergoes 240 genetic changes associated with drug resistance. But those changes come with a cost, the scientists discovered. 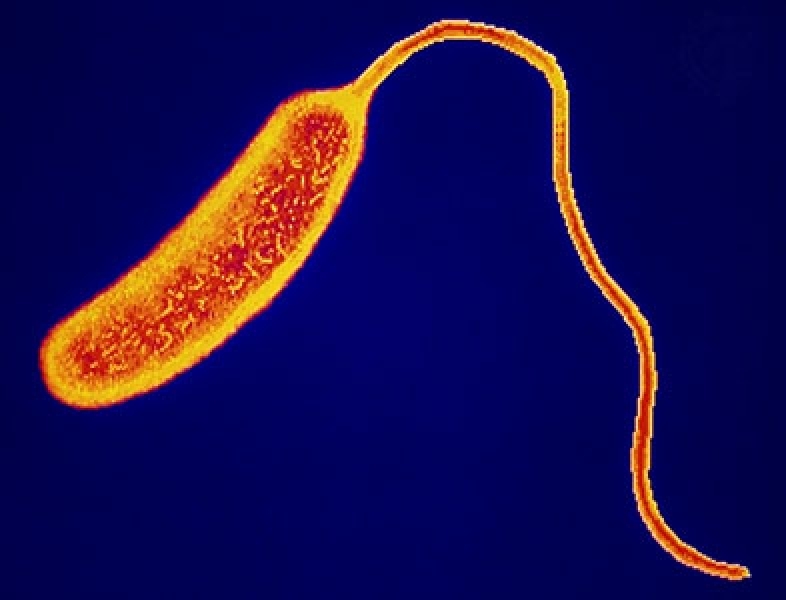 As it battles to overcome the effects of the drug, the fungus becomes weaker, with a reduction in the traits associated with virulence. The discoveries may point toward new targets for research and the potential to develop new classes of therapeutics for hard-to-treat fungal infections. The project was co-directed by Reeta Rao, Ph.D., Associate Professor of Biology and Biotechnology at WPI; Dawn Thompson, Ph.D., and Aviv Regev, Ph.D., of the Broad Institute of MIT and Harvard; and Judith Berman, Ph.D., of Tel Aviv University. They report their findings in the paper "The Evolution of Drug Resistance in Clinical Isolates of Candida albicans," published on Feruary 3, 2015 by the open-access journal eLife. The investigation of a simple protein has uncovered its uniquely complicated role in the spread of the childhood cancer, osteosarcoma. It turns out that the protein, called ezrin, acts like an air traffic controller, coordinating multiple functions within a cancer cell and allowing it to endure stress conditions encountered during metastasis. It's been known that ezrin is a key regulator of osteosarcoma's spread to the lungs, but its mechanism was not known. Osteosarcoma is a tumor of bone that afflicts children, adolescents, and young adults. In most cases, the tumor is localized in the extremities and can be completely removed by surgery or amputation. "The main cause of death in osteosarcoma patients is not the tumor on their limbs, but the failure of their lungs when the cancer spreads there," explains Aykut Üren, M.D., Professor of Oncology at Georgetown Lombardi Comprehensive Cancer Center in Washington, D.C. Dr. Üren and his colleagues have developed molecules that block ezrin's function and prevent osteosarcoma spread in mouse models. In an attempt to explain the molecular mechanisms underlying ezrin-mediated cancer metastasis, the researchers discovered this previously unrecognized role for ezrin. Their finding is published online today in the journal Molecular and Cellular Biology. "Conventionally ezrin was believed to be functioning only on the inner surface of cancer cells," Dr. Üren says, "but our new discovery indicates that ezrin may operate deeper in the core of the cell and regulate expression of critical genes that are important for cancer's spread." The scientists say that ezrin functions in a new capacity that is unusual for its family of proteins. By growing two types of stem cells in a "3-D culture" and measuring their ability to produce retinal cells, a team lead by St. Jude Children's Research Hospital researchers has found one stem cell type to be better at producing retinal cells. The research not only reveals which stem cell type might be better for treating retinal degeneration, but it also demonstrates a standardized method for quantifying the effectiveness of different stem cells for such therapies. The research was led by Michael Dyer, Ph.D., a member of the St. Jude Department of Developmental Neurobiology and a Howard Hughes Medical Institute (HHMI) investigator. The findings were published in the July 2, 2015 edition of the journal Cell Stem Cell. The article is titled “Quantification of Retinogenesis in 3D Cultures Reveals Epigenetic Memory and Higher Efficiency in iPSCs Derived from Rod Photoreceptors.” Stem cells are immature cells that can differentiate into more specialized cells in the body. In early clinical trials, researchers are testing whether stem cells can be differentiated into cells to replace those that are defective and die off in diseases such as age-related macular degeneration, retinitis pigmentosa, and Stargardt's disease. Such degeneration is the leading cause of vision loss, affecting more than 10 million people in the U.S.--more than cataracts and glaucoma combined. While such clinical trials have shown early promise, there are many scientific questions to be answered. "One important question is whether it makes a difference where the stem cells come from," Dr. Dyer said. Researchers at Spectrum Health Helen DeVos Children's Hospital in Grand Rapids, Michigan have completed the first clinical trial of a new treatment for children suffering from neuroblastoma. In a clinical trial led by Giselle Sholler, M.D., Pediatric Oncologist at Helen DeVos Children's Hospital and the Neuroblastoma and Medulloblastoma Translational Research Consortium (NMTRC), DFMO (difluoromethylornithine), an investigational agent, showed minimal side effects with long-term survival of three patients. This is the first clinical study of an oral dosing form of DFMO in any pediatric population. DFMO has previously been shown to inhibit ornithine decarboxylase (ODC), an independent indicator of poor prognosis in neuroblastoma. "This DFMO trial is an important advancement in neuroblastoma research," explained Dr. Sholler. "We believe that by using DFMO to target an important cancer stem cell pathway to 'turn cells off,' we may prevent children from relapsing. Cancer cells have pathways that drive the cancer to grow and DFMO targets a specific pathway to turn these cells off." Dr. Sholler recently published her laboratory studies describing how this drug works in neuroblastoma in preventing tumor formation in lab models and also published the full results of the phase one trial. The work was published online on May 27, 2015 in the open-access journal PLOS ONE. The article is titled “A Phase I Trial of DFMO Targeting Polyamine Addiction in Patients with Relapsed/Refractory Neuroblastoma.” Will Lacey, a patient in the phase 1 clinical trial, was free from side effects and needed no additional treatment following the trial. This is a new way of life for a 10-year old whose neuroblastoma had kept him in and out of hospitals and on various treatments for most of his life. 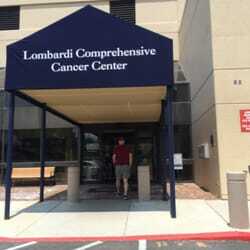 Patrick Lacey, Will's father explained, "His quality-of-life has been amazing! The American Society of Human Genetics (ASHG) Workgroup on Pediatric Genetic and Genomic Testing has issued a position statement on Points to Consider: Ethical, Legal, and Psychosocial Implications of Genetic Testing in Children and Adolescents. Published in the July 2, 2015 issue of theThe American Journal of Human Genetics, the statement aims to guide approaches to genetic testing for children in the research and clinical contexts. It also serves as an update to the Society’s 1995 statement (http://www.ashg.org/pdf/policy/ASHG_PS_November1995_AJHG.pdf) of the same title, which was issued jointly with the American College of Medical Genetics. “Twenty years ago, genetic tests were first being introduced into clinical medicine, and they focused on single-gene disorders in the context of family history and population screening,” said Jeffrey R. Botkin, M.D., M.P.H., first author of the report and chair of the working group. “At that time, we had limited data on how genetic testing affected children and their families, and generally suggested that unless obtaining this data could provide timely medical benefits to the child, testing should be deferred to adulthood,” he added. Since then, the scope and accuracy of genetic testing have improved, and health professionals have gained experience explaining, recommending, and administering such tests. Spider-like cells inside the brain, spinal cord, and eye hunt for invaders, capturing and then devouring them. 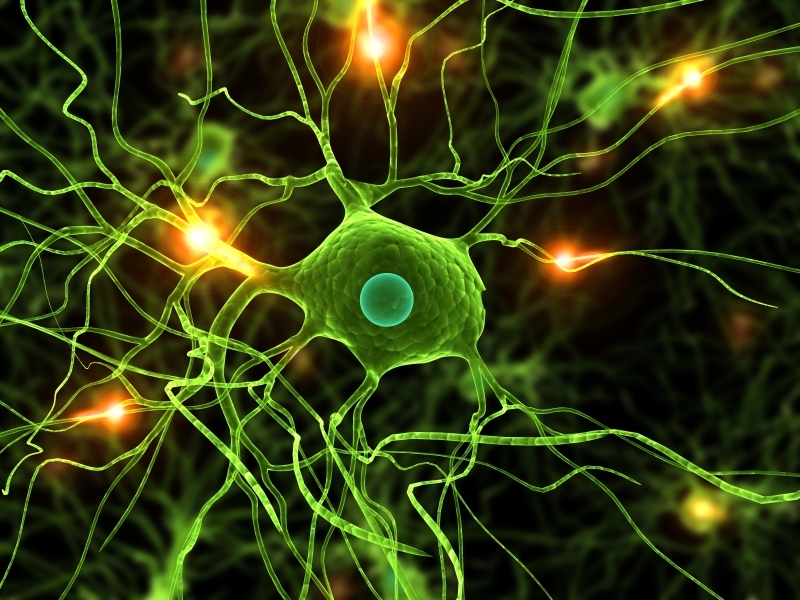 These cells, called microglia (image), often play a beneficial role by helping to clear trash and protect the central nervous system against infection. But a new study by researchers at the National Eye Institute (NEI) shows that they also accelerate damage wrought by blinding eye disorders, such as retinitis pigmentosa. The NEI is part of the National Institutes of Health (NIH). "These findings are important because they suggest that microglia may provide a target for entirely new therapeutic strategies aimed at halting blinding eye diseases of the retina," said NEI Director, Paul A. Sieving, M.D. "New targets create untapped opportunities for preventing disease-related damage to the eye, and preserving vision for as long as possible." The findings were published online on July 2, 2015 in an open-access article in EMBO Molecular Medicine. The article is titled “Microglial Phagocytosis of Living Photoreceptors Contributes to Inherited Retinal Degeneration." Retinitis pigmentosa, an inherited disorder that affects approximately 1 in 4,000 people, damages the retina, the light-sensitive tissue at the back of the eye. Research has shown links between retinitis pigmentosa and several mutations in genes for photoreceptors, the cells in the retina that convert light into electrical signals that are sent to the brain via the optic nerve. In the early stages of the disease, rod photoreceptors, which enable us to see in low light, are lost, causing night blindness. As the disease progresses, cone photoreceptors, which are needed for sharp vision and seeing colors, can also die off, eventually leading to complete blindness.